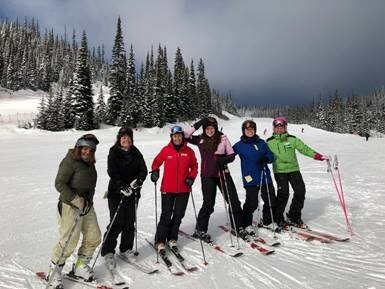 In February, the Travel Media team, in partnership with Tourism Rossland and the Josie Hotel, hosted a familiarization trip to RED Mountain to five North American media representing outlets such as NUVO Magazine, Organic Spa Magazine, AAA Journey Magazine, and MONTECRISTO Magazine. 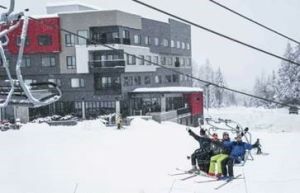 The Josie Hotel is the first true ski-in, ski-out hotel to open in Canada in over a decade, offering 106 stylish guest rooms and suites, jaw-dropping views, crackling fire pits, a premier spa (opening June 2019), fitness facility and ski concierge services. The hotel’s Velvet Restaurant & Lounge represents the first culinary offering of its kind in the region serving up locally-inspired craft cooking and cocktails. Destination BC co-hosted the trip which included five North American media representing outlets such as NUVO Magazine, Organic Spa Magazine, AAA Journey Magazine, and MONTECRISTO Magazine. 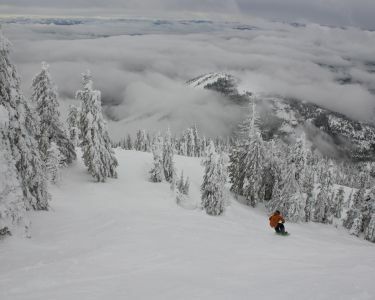 Destination BC led and organized a “Learn to Ski and Winter Waterfalls” press trip February 19-23. 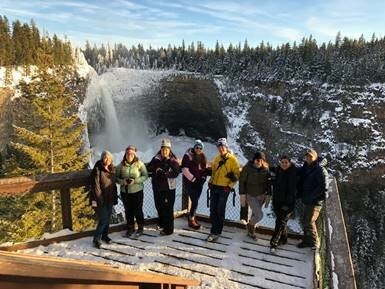 The media group learned from the ski pros at Sun Peaks Resort, explored the rich history and burgeoning culinary scene in Kamloops, and ventured deep into Wells Gray Provincial Park to view spectacular frozen waterfalls and other snowy sights. Outlets represented include Outside, REI, Seattle Times, National Geographic, Travel + Leisure, The Globe & Mail, Bleu & Blanc (MX) and The New Zealand Herald. 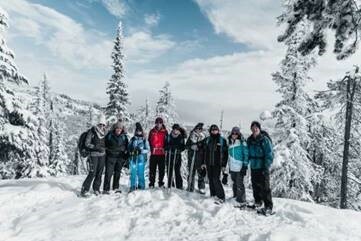 Canadian World Traveller http://canadianworldtraveller.com/Destinations_&_Articles_BC_Yasodhara%20Ashram_Winter_2018-19.htm, https://issuu.com/canadianworldtravellerwinter13/docs/awt_62_winter_2018-19_issue_emagazi.